Hello all! I noticed there weren't any discussions about Orkney yet so thought I would add my 'Top Ten' in case anyone was planning a visit up here soon. I love living in such a beautiful part of the world and I love sharing it with anyone interested in finding out more. Orkney is made up of around 70 islands but only 16 are inhabited. You should definitely try to visit one of the smaller isles if time allows. Westray or Hoy will always get my vote but there are plenty to choose from. A beautiful building that definitely deserves a visit. Be prepared for feelings of awe. Always popular with visitors but with good reason. These iconic stone circles, part of the heart of Neolithic Orkney, are simply incredible and need to be seen in person to be truly appreciated. Recently voted the best pub in Kirkwall and popular with visitors and locals alike, Helgis is a 'must visit' when eating out in Orkney. The have a great menu with local produce, as well as vast selection of drinks ranging from cocktails to local beers and whisky. There are some lovely shops to visit in both towns and be sure to check out The Brig Larder in Kirkwall and The Bayleaf Deli in Stromness for some local foods. You just can’t come to Orkney and not try crispy cheese. 7. Head to the East Mainland and visit Dingieshowe. A beautiful beach and one of my favourites. The word Dingieshowe comes from Viking times and it is thought this is where people met to pass laws and settle feuds. You're going to be on holiday so hopefully you won't have any feuds to settle but I don't think you'll be disappointed with the vast amounts of beach and the spectacular waves on offer. 8. Another reason to visit the East Mainland is the Gloup and the Brough of Dearness. It is a lovely walk with some great views. Once you reach the brough you can see the remains of a 10th century chapel and some impressive cliffs. 9. Head to the West Mainland, visit Skara Brae and then go for a walk along Skaill beach. Skara Brae is Europe's most complete Neolithic visit and it's easy to see why people travel so far to see it. It's older than the pyramids and so well preserved that you will feel like you have stepped back in time. Skail is a beautiful beach and I suggest allowing an extra hour or so to visit it, too. The visitor centre at Skara Brae has a great cafe where you can get some lunch or coffee and cake before enjoying the fresh sea air. 10. While in the West Mainland, visit the Brough of Birsay and then walk out along the cliffs towards the whale bone. A lovely walk and a great chance to see some waves. Check tide times for visiting the Brough itself because you don't want to get stranded. 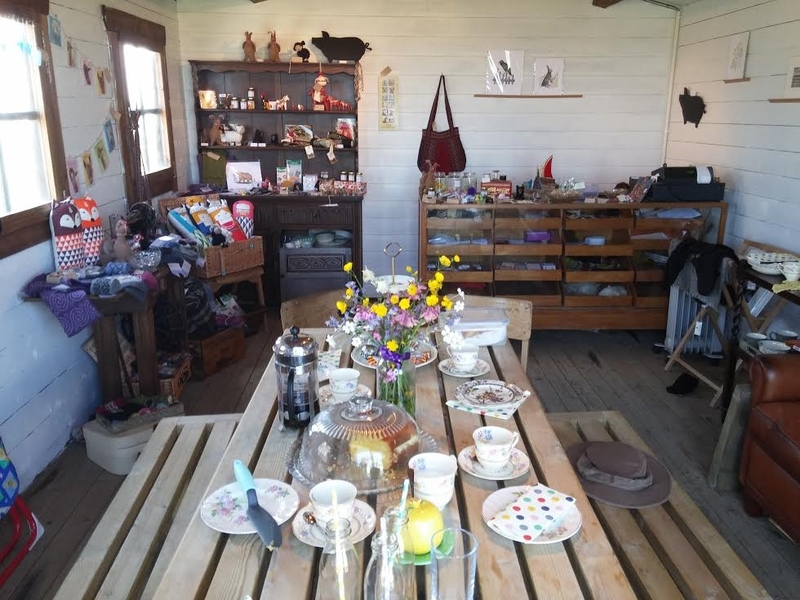 Birsay Bay Tearoom is also lovely and definitely worth a visit. Thanks for reading and please comment if you want to know anything else. I struggled to get my list down to 10 so feel free to ask for any other ideas. 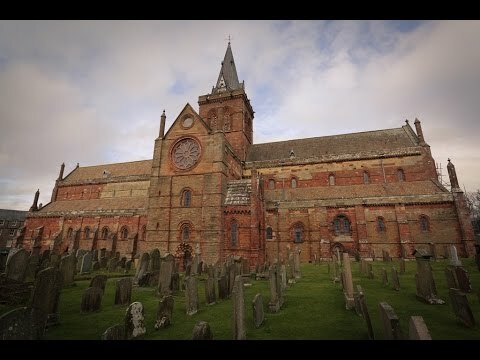 Have you been to Orkney? What would you recommend? Having just returned from a short trip to Orkney I'm pleased to see that I covered quite a few things on your list although still have a few to do , but no-one told me about crispy cheese, I feel I've missed out! 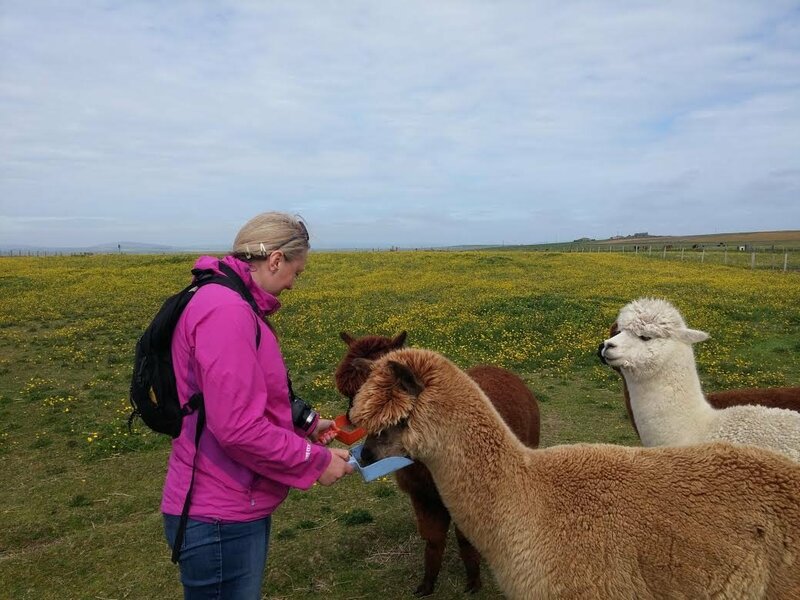 One thing not on the list that I highly recommend is a visit to Skate Rumple Farm where you can feed the alpacas and other animals and even brush the pigs. As an adult I can testify that it is great fun for all ages! It is run by Mandy and Nick who are the loveliest couple and you even get some delicious home-baked cake and tea at the end. There is also a little shop with some local crafts. Not your usual Orkney activity but I loved it! 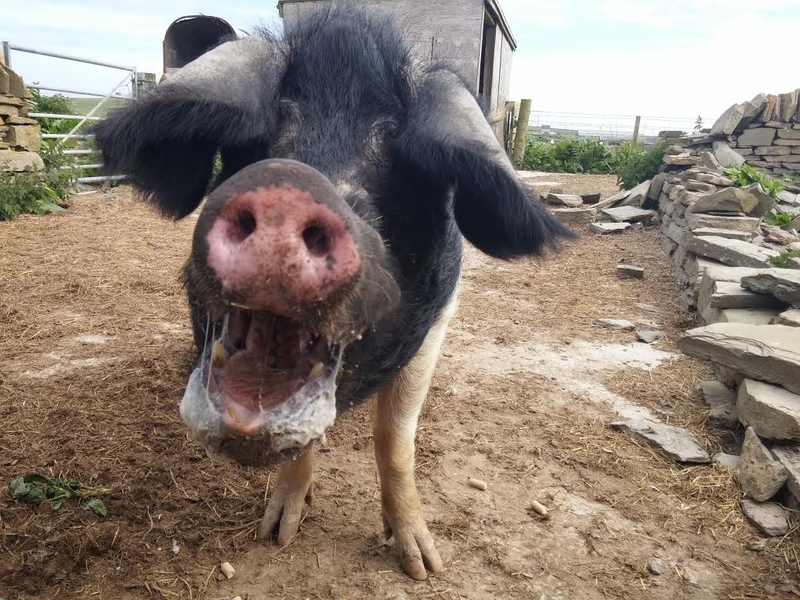 @ScotlandAdventures - love the pig! Hoping to visit Orkney this summer but I imagine accommodation might be difficult if not booked well in advance? Great post very informative,just like to add the walk around headland to Kitchener memorial,beautiful views and spectacular seabird colonies for the photographers. Have been wantining to visit Orkney for years, was looking at accommodation earlier today. There is so much to visit, this helps a lot, cheers. 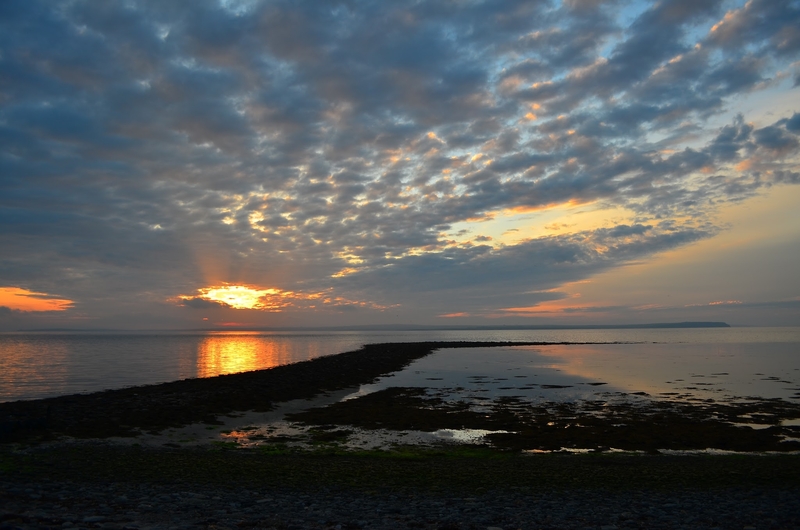 Hi @JohnnieMc,so glad you are thinking of visiting Orkney,its a wonderful place. We are going next year and accomodation gets booked up quickly especially spring/summer so I would advise you to book as early as possible. Hi. Thanks for those tips, @NatalieRendall. We visited in May last year specifically for the neolithic sites and we used the Historic Scotland Orkney Explorer passes, which are great value. We didn't make it across to Hoy for the Hackness Martello Tower and the Brough of Birsay was closed until June so we intend to rectify both of those when we return in a few weeks' time. If you're interested in the neolithic sites, then there is just too much to cram into a week in my opinion (hence our return visit), including the Eagles' Tomb and Otters' Tomb on South Ronaldsay (and within a pleasant clifftop walk of each other), Unstan, Cuween Hill and Wideford Hill chambered cairns, and of course the World Heritage sites, in the middle of which is the Ness of Brodgar dig (the main purpose of our impending visit as this was also closed in May last year). While you're at the Stones of Stenness, don't overlook Barnhouse. If you can get on any of the Orkney Ranger tours, do so. They give you a real insight into the various sites and are so friendly and responsive. Don't forget to book Maeshowe in advance: 01856 761 606. Stromness is definitely worth a visit if you're not based there. It's a lovely town to wander round, the museum is fascinating (as is the Orkney museum in Kirkwall). We enjoyed lunch at the Ferry Inn. I also was not aware of crispy cheese so we'll make a point of trying that, and of visiting Helgis, which we planned to last year but ran out of time. As well as Hoy, we also intend to visit Rousay this year and do the Westness Heritage Walk. I would like to ask, how is Orkney for midgies in August? I would imagine they're not a big problem given Orkney's breezey nature but it would be useful to know. 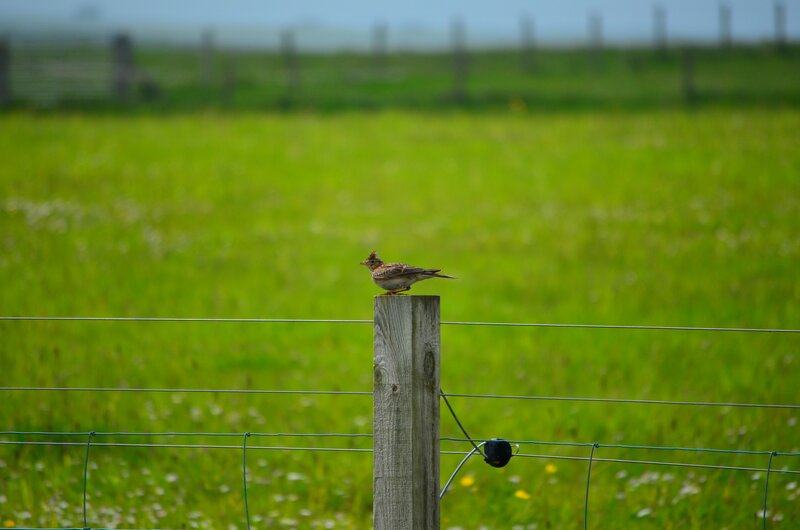 Here are just a few pics from our Orkney trip 2014.Looking forward to getting back next year. There is a section on the Community dedicated to the whole midgie problem so maybe you could ask your question there? I would love to have an answer but have only visited Orkney for a day trip many years ago. Don't remember any midgies though, and that was July. Too windy maybe?! I finally visited Orkney in August. Just the main island this time. I went with a friend who had physical limitations so I didn't get to do some things I wanted to . So I've already booked to go back in May! This summer Skara Brae offered private evening tours - 12-15 people. I highly recommend this as you avoid the crowds, get a good tour guide and are also allowed into the dwellings past the no admittance signs. We also were lucky enough to get a guided tour of the Ness of Brodgar by an archaeologist. Amazing! Looks like they are only done mid-July to August. We were the very last tour which was on Aug 23rd. Next trip I plan to get to the Brough of Birsay and also hire a bike and visit Westray and see the puffins. I'd like to also do a Papa Westray tour but not sure I can work it in. Brough of Birsay is a real treat. It's tranquillity matches Inchcolm Priory. Bliss. The midges were not much of a problem at all. We got in a Twilight Tour of Skara Brae, too, but I should also give credit to the daytime stewards there (especially Aiden) - highly informative and enthusiastic. It's a joy to visit. The Orkney Rangers were brilliant as well, as usual. It's hard to overstate the highlights in Orkney but Sandra and Elaine (and this year Keith, too) make a significant contribution to making them highlights. We had just a wee bit of trouble with midgies, nothing major (I live in Midgie central!). The tour guide at Maes Howe was excellent as well. Would have loved to visit the Brough of Birsay but we didn't time it right, besides which my friend who uses a cane couldn't do it. So I'm going alone on my next trip, and for longer. Hi @NatalieRendall I had never heard of Skate Rumple farm before but I'm definitely going to have to make a visit now! Just my cup of tea. During my visit to Orkney last summer I stayed in Burray and I had asked for recommendations of places to eat. Robertsons Coffee Hoose was mentioned several times, so I ventured down for dinner. In the day time it serves coffee and cakes and light lunches and then in the evenings really beautiful meals. Not a huge selection as everything is fresh and homemade but enough to give everyone something to choose from. They do have a brilliant selection of cocktails too but sadly I was driving and unable to sample. On the food & drink front, I have a few hipster recommendations. 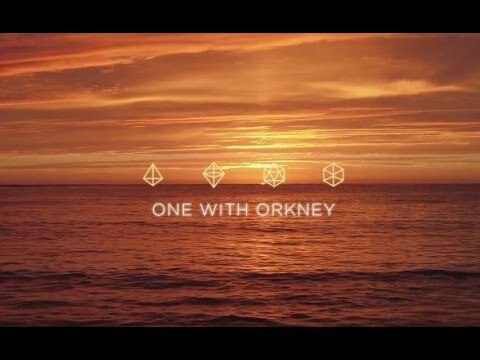 This video highlights the Orkney Brewery & Highland Park and for good reason, they have become famous through years of work. However, Swannay Brewery at the north end of the island & Scapa distillery in Kirkwall have, in my opinion, a better product for beer & whisky than their more famous counterparts. Swannay in particular makes some of the best beer in Scotland for people who love their beer high ABV%. Also, do not miss the Orkney Wine company right in front of the Italian chapel. Try their range of delicious fortified wine, so yummy & strong. 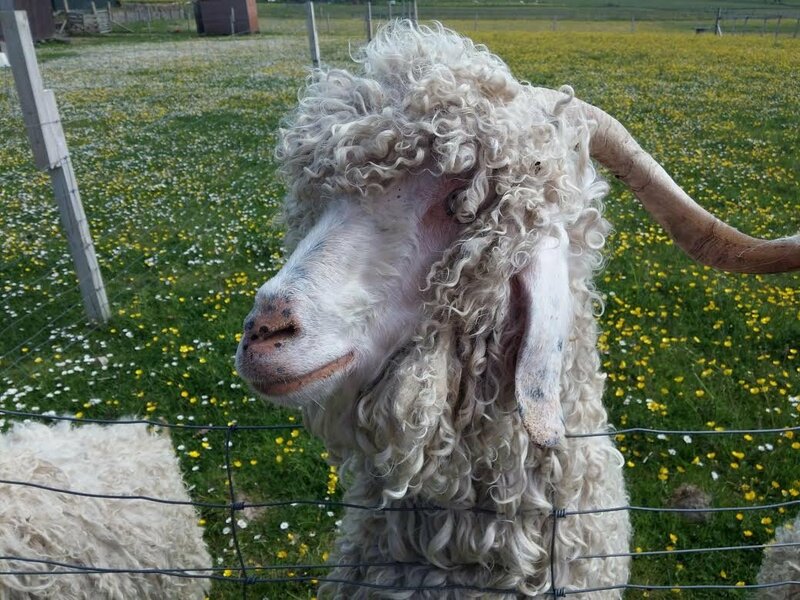 For food, the best meal I had in Orkney was when I bought Orcadian lamb from E. Flett butchers in Stromness & made a curry out of it in the hostel. It is the best lamb I have ever had quality wise, it physically was melt-in-the-mouth. If you love to cook & have access to a kitchen in Orkney, I cannot recommend cooking local lamb enough!! @bronny I have not rented an electric bike but you should be mindful that the distance between Kirkwall (where we believe the cycles are hired from) and Skara Brae is around 17 miles each way. Plus the main road that connects them is generally quite busy. Make sure you have a bus timetable handy in case the weather isnt too favourable for cycling long distances. 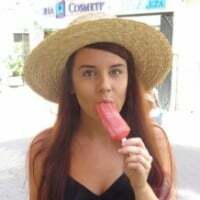 @bronny I agree with Horizons above, you need to think about the distances as it is approx 17 miles from Kirkwall to Skara Brae and the same to return. There are people who will cycle to Skara Brae and back in a day but it depends on what distances you are used to. You also need to take into consideration the weather, as the wind can be quite strong here at times, making cycling a bit trickier. The bus service to Skara Brae runs 3 days a week on Mondays, Thursdays & Saturdays so it would depend if that coincided with your visit. Otherwise there are tour companies running in September which would visit Skara Brae and the Ring of Brodgar. I own an electric bike and 34 miles roundtrip is very easily done. I won't be cycling on Orkney though as it is often very windy. I spent a couple of days there last August and am booked to return in May for 4 nights. I will be driving. On this trip I'll be revisiting some sites, and will also do a daytrip to the Isle of Rousay which has many archaeological sites. Great list. I have been to #Orkney a couple of times and truly one of my most memorable experiences in all my adventures around Scotland was Maeshowe. I will never forget crawling through the tunnel into the cairn and the feeling of being somewhere very #unique . I was lucky to only have 3 or 4 people on the tour so didn't feel to claustrophobic! 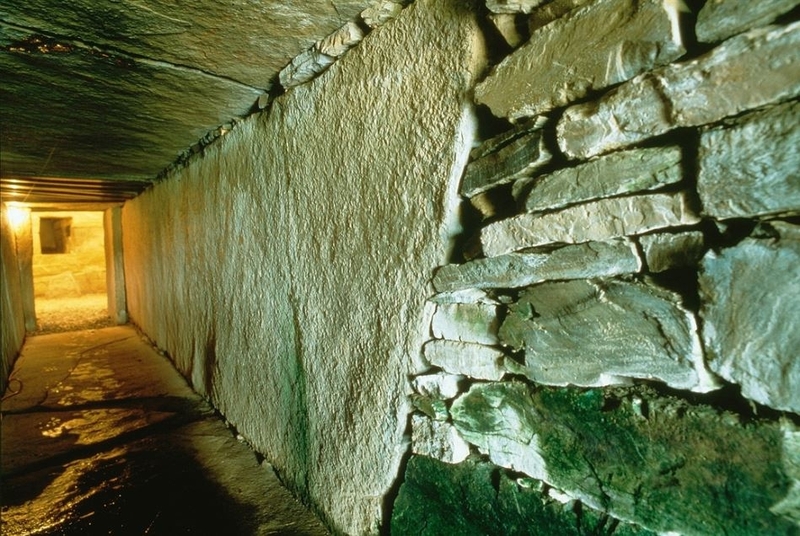 At the moment, all visits to Maeshowe begin at Skarabrae with the compulsory bus transfer to the site. More information is available on the Historic Environment Scotland website. Thanks for jogging my memory @natalierendall ! We visited the Ness of Brodgar in August. Fascinating! On my next trip in May I'm planning on a day trip to Rousay. I'm thinking of walking to Westness, exploring sites on the trail and walking back to catch the ferry. Recommendations? Guess my question got lost. Anyone hiked or cycled around Rousay? I'm going to hop over on the ferry and I'm thinking about hiking around the island - or maybe just hiking to Westness and exploring the sites and walking back to the ferry. Probably take several hours. Will wear hiking boots. Hi @argyllgirl, there is a really good website which lists walking routes on Rousay if you visit, https://www.walkhighlands.co.uk/orkney/rousay.shtml If you are planning to cycle around Rousay the distance is 13 miles, however best to cycle anti clockwise round the island as then you cycle down instead of up some of the steeper parts. Planning a Trip for May of 2018 we wanted to stay in Stromness for a week but from what I see there is no where to park around Victoria Street is this a fact? Shall I look elsewhere to find a house to rent?